Lakshadweep Islands is among the most breathtaking tropical islands in the world. Situated around 220-240 km off the Malabar Coast, the islands encompass 4200 sq km of lagoon and abound in marine life. Lakshadweep islands look like emeralds against the far-stretched blue sea. The wall-like reef enveloping the outer side of the shallow lagoons block the incoming swells of the sea. The Lakshadweep islands are connected to the mainland by ships as well as passenger planes. It is the India's smallest Union Territory, which means “100, 000 islands” in Malayalam, the local language. This archipelago boasts of its 36 isles, out of which 10 are inhabited. 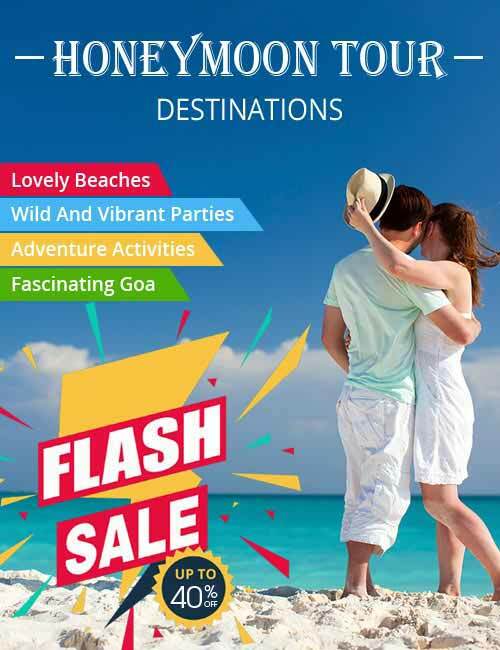 The island offers you to take delight in its soothing amalgamation of sand, sun and sea. It serves as the only island in Lakshadweep with an airport. It is known as the 'Gateway to the Lakshadweep Islands'. Canoeing, kayaking and snorkelling are the exciting water sports that are offered here. This is the only island, which is open to foreign travellers while other islands allow day visit. Lying just a half away from Agatti, this island fascinates tourists with its colourful boats and coconut canopies. You can indulge in interesting activities like kayaking and wind surfing. Catamaran sailing, scuba diving, deep-sea fishing and snorkelling can be enjoyed at Bangaram. The delicious seafood variety further adds charm to your visit to the island. Serving as the administrative capital of the Lakshadweep islands, it welcomes you with the swaying coconut canopies. There is a famous mosque, called Urja mosque. The adorned ceiling of this sacred spot has been intricately carved from an only piece of driftwood. 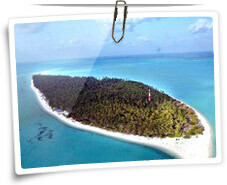 It boasts of being the longest island among the Lakshadweep group of islands. The major attractions include the tomb of Hazrat Ubaidullah and the Buddhist archaeological ruins. Lying near Maldives, it is another large island on the Lakshadweep. The Tuna Canning Factory is a must visit attraction here, built by the British in 1885. The traditional Lava Dance can be enjoyed at the site. The island boasts of its Water Sports Institute that attracts every adventure lover to visit the site. Laca Dives serves as the scuba diving centre where you can avail cheapest diving course package. The island is known for its beautiful coral life. Lying nearby are the islets of Pitti and Thilakkam. Amidst the breathtaking sights of the gorgeous lagoon, tourists can enjoy several exciting water sports including sailing and kayaking. With its vast stretch of sandy coastline, Lakshadweep has gained popularity as a water sport destination in India. Taking into consideration its potential of water sports, Lakshadweep tourism board has been focusing on the development of water sports facilities. There is well-established Water Sports Institute at Kadmat Island, offering amenities for yachting, canoeing, snorkelling, kayaking, water skiing, scuba diving and wind surfing. From October to mid May. It is the time when the weather is pleasant and enveloped Arabian Sea turns Aqua. Tourists can get a variety of spiced coconut-rich Vegetarian and Non Vegetarian food. Specialities include fried, curried and barbecued fish. By Air: Lakshadweep has its own airport in the island of Agatti. It is well-linked by regular flights from Kochi, which serves as a prominent domestic and international airport of India. It is well-linked to all the major cities. Besides, helicopter services are available from Agatti to Kavaratti. By Sea: It takes around 18 to 20 hours to sail from Kochi to Lakshadweep. Passenger ships with basic amenities are available to offer you an opportunity to sail through the blue waters of Arabian Sea. Let nature pamper you with coral reefs, azure sea and soft sand at Lakshadweep Islands with India tour packages!